To help enhance the user experience online, the site also uses "cookies" so users do not have to re-enter information as they navigate the website. A cookie is a small amount of data that is sent to your browser from a Web server and stored on your computer's hard drive. Cookies are used to help personalize the online experience for the user-based on the action you request. If you submit your date of birth and group affiliation, you receive information about your available group programs. We do not share this information with outside organizations. There are also several opportunities on our website for you to voluntarily provide us with personal information about your particular group and specific care needs. For example, we will need personal information from you when you enroll in accident insurance, submit a question online, or request product information. This information includes your name, mailing address, e-mail address, current coverage, and other similar information. We use your voluntarily provided personal information to provide you exceptional customer service and to create a more meaningful visit for you at this website. In addition to the information you voluntarily provide us with, we may also receive other non-public, personal information about you from other agents, brokers, administrators, investigators, insurance-support agencies, legal counsel, consumer reporting agencies and government reporting agencies. Any information obtained from a report prepared by an insurance-support organization may be retained by the insurance-support organization and disclosed to other persons. The website does not automatically recognize your email address. You only receive e-mail from us if you check a box indicating an interest in a particular e-list or if you provide an e-mail address for a customer service inquiry and need an answer via email. We collect the email addresses of those who communicate with us via email and online forms, including those who specifically check a box to subscribe on our online forms (for example, an opt-in for email updates is on the online enrollment form). Any user who signs up for emails can unsubscribe or manage his/her subscription by linking to the personal URL emailed to all subscribers. Every email sent also includes information about how to stop receiving emails from us. If you sign up for e-mails (including E-News), where applicable you can expect to receive emails from our customer service email address. You can access all your personally identifiable information that we collect online and maintain by calling us at (800) 424-5181 or by providing a written request to the address set forth above. This will give you the opportunity to review your personally identifiable information or update us on a correction that needs to be made. To protect your privacy and security, we will also take reasonable steps to verify your identity before granting access or making corrections. this procedure to better safeguard your information. “Program Administrator” means the entity that is offering and providing services through this website (collectively “Program Administrator” or “Administrator” or “we” or “us”). In the absence of any of the exclusions set forth above, it shall be the program administrator’s responsibility to correct any transactions not completed in accordance with your payment instructions. In the event that the program administrator is unable to correct the transaction, we shall refund the amount of funds received from you and this refund shall constitute your sole remedy. In no event shall the program administrator’s liability to you ever exceed the amount of funds that we receive from your payment account or payment card for a bill payment. THE FOREGOING SHALL CONSTITUTE THE PROGRAM ADMINISTRATOR'S ENTIRE LIABILITY AND YOUR EXCLUSIVE REMEDY. THE USE OF THIS PAYMENT SERVICE IS AT YOUR SOLE RISK. 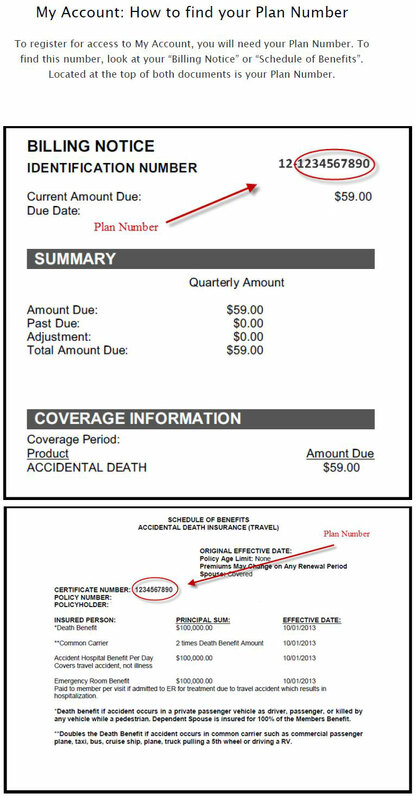 IN NO EVENT SHALL [PROGRAM ADMINISTRATOR] BE LIABLE FOR ANY OTHER LOSS, INJURY, OR DAMAGES, WHETHER DIRECT, INDIRECT, SPECIAL, INCIDENTAL, CONSEQUENTIAL, OR EXEMPLARY, INCLUDING LOST PROFITS (EVEN IF ADVISED OF THE POSSIBILITY THEREOF) ARISING IN ANY WAY OUT OF YOUR USE OF THE BILL PAYMENT SERVICE. EXCEPT AS OTHERWISE EXPLICITLY SET FORTH HEREIN, WE SPECIFICALLY DISCLAIM AND YOU UNDERSTAND THAT WE MAKE NO WARRANTIES OR REPRESENTATIONS OF ANY KIND, EXPRESSED OR IMPLIED AND THE SAME ARE HEREBY EXCLUDED FROM THESE TERMS AND CONDITIONS AND ALL TRANSACTIONS CONTEMPLATED HEREBY. SOME STATES PROHIBIT THE EXCLUSION OR LIMITATION OF INCIDENTAL OR CONSEQUENTIAL DAMAGES, THUS THIS LIMITATION OF LIABILITY MAY NOT APPLY TO YOU. a. By entering this website and agreeing to be bound by this agreement, you are providing your affirmative consent to the use of an electronic signature to authenticate the insurance transaction in electronic form. You understand and agree that the insurance company will rely on your electronic signature to process and effect insurance transactions. d. Once you have given consent for an electronic transaction, you may withdraw your consent only if the carrier or service provider has not taken action in reliance on your consent. To update your contact information or to withdraw your consent to an electronic transaction, you may contact your Administrator by calling (800) 424-5181 or by writing to the Office of Administration, PO Box 26450, Phoenix AZ 85068. There is no fee charged for such requests. However, your withdrawal of consent shall not diminish the legal effectiveness or enforcement of any transaction agreed to prior to your withdrawal of consent. If you withdraw consent after your enrollment, your insurance or service will remain effective until your request for cancellation is received by the program administrator policyholder or its representative. 4. After you enroll, you understand and agree that you will not have access to your electronic enrollment record. You may print a confirmation of your enrollment election at the time of enrollment, or you may contact your Administrator for confirmation after your enrollment period ends. You represent and warrant to the program administrator that: (a) you are over the age of eighteen (18) and have the power and authority to enter into and perform your obligations under this agreement; (b) all information provided by you to the program administrator is truthful, accurate and complete; (c) you are the authorized signatory of the credit or charge card provided to pay fees contemplated herein; (d) you shall comply with all of the terms and conditions of this agreement; and (e) you have provided and will continue to provide accurate and complete registration information, including, without limitation, your legal name, address and telephone number. The program administrator provides information and services on this Website, and all layouts, materials, designs, and images on this Website are copyrighted or proprietary to the particular program administrator, its affiliated companies and/or third-party service providers. As a condition of your use of this Website and the services, you agree that you will not use the contents of this Website in any other website or in a network computer environment. All uses of this website apart from educational, informational and enrollment purposes are strictly prohibited. You agree that the materials and services on this website are provided “as is” and for informational purposes only. You understand that neither the carrier, the service provider, nor the program administrator makes any representations or warranties that the materials are suitable for your needs, are complete, timely, reliable, or are free from errors, inaccuracies or typographical mistakes. The information contained on this website was believed to be accurate at the time it was placed on the website. The carrier, service provider and the program administrator periodically update the information on the website, but disclaim any responsibility to do so. Therefore, you understand and agree that the carrier, service provider and the program administrator take no responsibility for the timeliness, accuracy or applicability of the information at the time it may be accessed and that the carrier, service provider and the program administrator disclaim all warranties, express or implied, including, but not limited to, implied warranties of merchantability of fitness for a particular purpose or of non-infringement of other’s rights. You understand that this website and the payment services contemplated here under may be performed by third-party vendors.